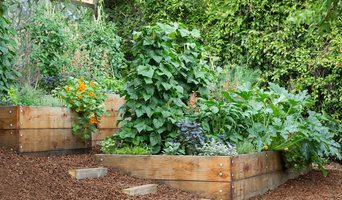 Urban Artichoke provides residential garden design and garden consulting services. My goal is to enhance quality life with beautiful gardens and environment-friendly practices. Specialties: lawn-replacements with appropriate low water native and ornamental plants, ecological gardens, integrating edibles into landscaping and edible gardens, including herb gardens. 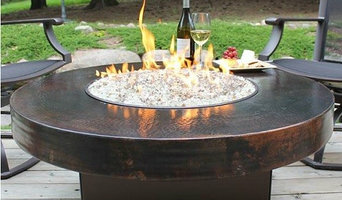 Authorized dealer of outdoor grills and appliances, fireplaces, heaters and custom outdoor kitchen structures. Pine House Edible Gardens provides edible landscape design, installation, full-service maintenance & harvesting services and garden coaching – essentially whatever it takes to create a beautiful, edible landscape, kitchen garden, or cut flower garden for you. We work to grow good, clean, organic food for our clients by building and protecting soil on site, planting and pruning for greater yields, and working with the natural ecosystems of your property to produce a productive and beautiful garden. If you are interested in a custom garden design, maintenance, floral, beekeeping, or preserving services for your garden, please contact us for an initial site consultation. A. Silvestri Co. is a manufacturer of architectural grade, decorative pre-cast concrete statuary, fountains, planters and garden art. The Silvestri family proudly celebrates its fifth generation in the statuary industry. We offer over 1000 pieces of cast stone architectural, plaza, home and garden art pieces: including hundreds of fountains, statues, busts, benches, tables, columns, pedestals, bird baths, patio, plaza and garden planters, urns and pots, plaques, garden animals and Asian influenced garden items. A large selection of indoor statuary and columns, dining table bases and sets, coffee table bases, aluminum patio sets, lamp posts, fireplace mantles, and precut glass table tops is available at our showroom. In addition, our showroom carries products from Al's Garden Art, Trevi, SVG, Alumatech and Hanamint. The Silvestri family has been in the statuary business for five generations. Arcangelo Silvestri along with his two brothers and a brother-in-law settled in San Francisco in 1900. They began to manufacture ornamental molding and figurines out of plaster which they peddled from door to door. They worked long and hard to make their business successful. The business prospered until the Great Depression when they returned to their native village of Bagni di Lucca in the province of Tuscany, Italy. In 1956 Arcangelo’s son, Adorno, and grandson, Alfeo Luigi Silvestri immigrated to the United States to settle in San Francisco and together founded A. Silvestri Company Fine Statuary. A. Luigi Silvestri's family continues the traditional family heritage of statue manufacturing by bringing you the finest quality statuary. Today we offer a wide selection of European reproductions of fountains and statues, along with contemporary pieces and original designs of various garden ornaments, all beautifully finished in cast stone. Sonomarin Landscape Materials has been providing quality products and services to the Bay Area since 1976. The company offers building materials for landscaping such as soil, compost, bark, statuary, decorative rocks, stepping stones, and a wide variety of specialty stone. Sonomarin delivers supplies throughout the Bay Area. We dream, create and build one of a kind, vertical walls and installations using both live and preserved plants. Planted Design is the industry leader in designing and manufacturing customized vertical walls using both live plants and maintenance-free preserved moss. Our custom plant designs can be used to decorate your home, office, trade-show booth or storefront with an eye catching, innovative, and sustainable feature that will always leave a lasting impression. RELN is an Australian Owned product design and manufacturing company specialising in injection-moulded, 100% recycled plastic products for your water drainage, civil and garden needs. Come See Us For All Your Landscaping Needs! Great Selection At Great Prices! Lyngso was founded in the early 1950’s by John and Mary Lyngso. To this day, our company remains a family-run business. Many of our employees have been with us for over 20 years; all are passionate about providing the best possible service. Our site in San Carlos contains everything from sands, pebbles and boulders to tools and soil mixes. Lyngso has the materials and expertise to satisfy the largest contractor as well as the personal approach to guide the homeowner on his/her first landscaping project. We enjoy participating in community projects and have always sought to provide what our community needs, whether that means materials or information. 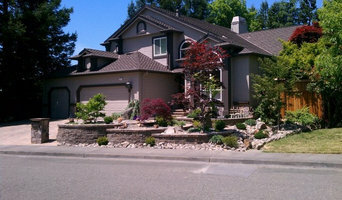 It is our goal to remain a valuable resource to landscapers throughout the Bay Area. In recent years, Lyngso has evolved its landscaping business to include organic gardening. We can assist you with any project, from raised garden beds to helping you improve the biology of your soil. Sustainability has become the center of our business. As a certified Green Business, we are powered by 100% renewable clean energy and we strive to offset our carbon emissions. As an environmentally conscious business, we pride ourselves in encouraging our community to recognize the benefits of organic and sustainable gardening. In fact, we have become renowned for carrying a unique line of organic soil improvements, ranging from locally brewed actively aerated compost tea to special composts, humus, soil mixes, and mulches. Many of our team members have undergone training in soil biology. Throughout the nearly 60 years of Lyngso’s existence, we have expanded the size and scope of our operation. However, one value remains constant: Service. This concept is not just an important part of our business but is the heart of our business. We pride ourselves in helping customers use our products to make the world a more beautiful place. For over 35 years, we have been offering the largest selection of unique and high quality bamboos from around the globe, with mature demonstration gardens where you can view many species fully grown and mature. Providing bamboo plants, delivery, planting, custom landscape construction, removal, containment and maintenance services to the greater SF Bay Area. We also sell bamboo books, tools, root barrier, soils and gravel, and more to help your bamboo thrive. We produce a line of portable and lightweight shelving for your plants and crafts. They are available in multiple colors, and sizes. Use them indoors, outdoors and at craft fairs, flea markets and pop-up shops or reorganize your kitchen pantry or garage. Stands are made with welded steel frames and wood or tile shelves. Shirley, the designer and owner, is a retired artist with a huge collection of inventory of art, sculptures, prints, collectable items, dolls, jewelry, cloths, African interests, and art supplies. Root and Stock, founded in 2015, is based out of San Francisco, California. Designed in California, our planters are handmade and constructed out of industrial strength fiberglass material making it extremely durable. Designed to be weather-resistant, fiberglass material also makes our planters light-weight, easy to transport, and display. We offer a wide range of styles and sizes to suit any design needs and taste. Whether you need an indoor or outdoor planter, our selection will spice up your home decor, add elegance to your garden, and enhance any space. Provider of Landscape services and Redwood Planter Boxes. 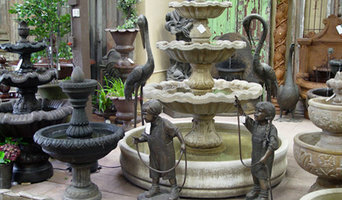 Designer and Manufacturer of quality cast stone fountains, bird baths, benches, containers, and statuary. Family owned and operated since 1916, we are celebrating a century as the West Coast's premier manufacturer of handcrafted garden decor! We offer a multitude of unique, originally designed items guaranteed to beautify any landscape in an array of distinctive, durable finishes! If you’ve been dreaming of a beautifully landscaped property with a water feature or a concrete fire bowl but don’t know where to start or what landscape supplies to buy, it may be time to look into garden and landscape suppliers in your California area. From retaining walls to raised garden beds, these professional vendors can make your backyard the oasis you’ve been longing for. What’s more, many of these professionals can help you take your ideas from design to installation and provide garden care and yard maintenance according to your Mill Valley, CA climate. Here are some related professionals and vendors to complement the work of garden & landscape supplies: Landscape Contractors, General Contractors, Landscape Architects & Landscape Designers. What if you would love to grow your own vegetables but have site limitations? Many garden supply companies offer planters and containers that are up to 42 inches tall. For those who live in colder climates, consider a greenhouse — just the thing to enjoy starting plants or growing exotic blossoms that wouldn’t quite work in your Mill Valley, CA climate. Find garden and landscape supplies on Houzz. 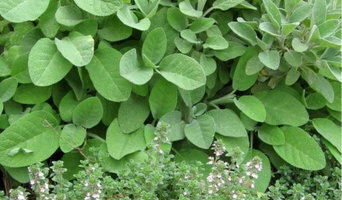 Search the Houzz Professionals section for Mill Valley, CA garden and landscape supplies. Browse photos and read reviews. You can also explore full-service California landscape architects and garden contractors.